This one has been gone from home for so long that I almost forgot about her. Luckily Fons and Porter didn’t. 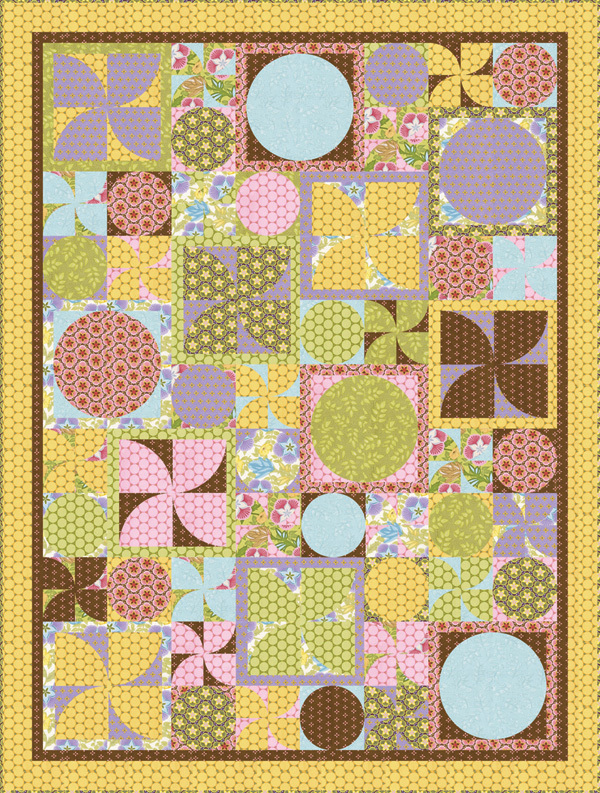 “Pinwheel Garden” features my Ambrosia collection for Robert Kaufman and, best of all, it is being featured as a free pattern on the Love of Quilting website that you can download here. I fell in love with your “Pinwheel Garden” quilt that was featured in the latest edition, May/June 2011. I was pleasantly surprised to find that I could download it. In reading through the instructions, I noticed that the names of the small templates may have been reversed. It appears that the name for the “Small Fill-In Template” on page 4 should have been named the “Small Take-Away Template and vice versa. So be sure to make a note on your pattern. Thanks, Linda! You can still find most of the Ambrosia line at Fat Quarter Shop. And the two prints that they have sold out of can be found over at Wondrous Woven Fabrics. And it looks like Fabric Shack has them all! The Fons and Porter curved seam templates are also very helpful. P.S. I had a momentary lull in sewing last night in order to get out a scrapbook collection and last night we were able to (pause for dramatic effect)… eat in the dining room! 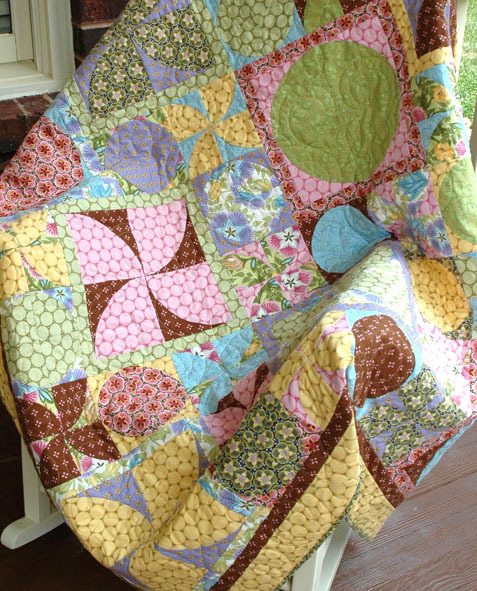 That quilt is completely covetable. I luuhuuuuve that quilt! 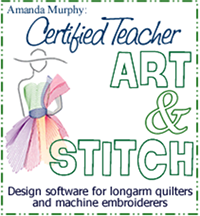 I've got to get my latest quilt off my machine and then I'm getting started on my Ambrosia project. Hopefully, I will get that done before I have to start on my Christmas projects!